As it turns out, the best part of the new Indiana Jones movie for me was the anticipation and the nostalgia it evoked. I haven’t enjoyed the sequels nearly as much as I enjoyed Raiders of the Lost Ark. Harrison Ford does a fine job, but the script doesn’t hold together very well. You can’t fault a franchise that’s a take off of pulp stories for having implausible action scenes, so I won’t. But all the character’s motivations seem muddled or just plain silly. I’m not going to list all my gripes, but let’s just say I wasn’t impressed. 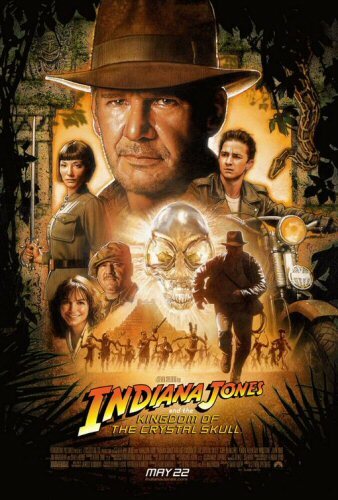 Nevertheless, I still enjoy slapping my floppy rain hat on my head and pretending to be Indy with my kids. So there’s that.